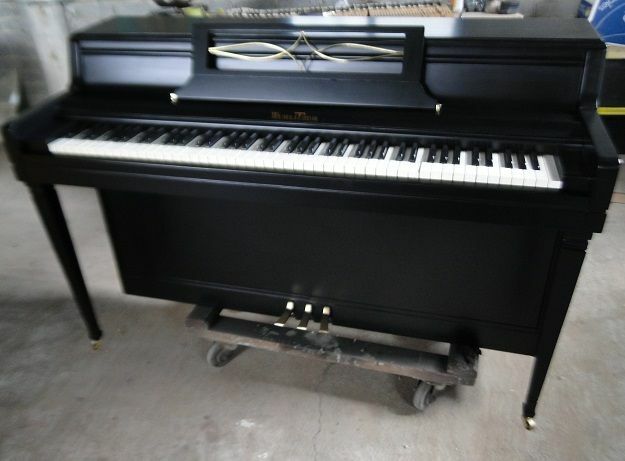 Wurlitzer se convirtió en un nombre muy conocido en la producción de pianos en 1935, cuando se comenzó a fabricar el modelo espineta. 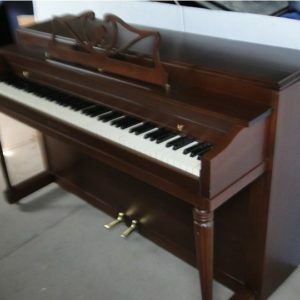 Este pequeño piano vertical estaba dentro del rango de precios de la creciente clase media y podía caber prácticamente en cualquier lugar. Además de hacer pianos, Wurlitzer fue también un innovador de órganos, máquinas de discos, teclados eléctricos y máquinas expendedoras. El piano Wurlitzer es ampliamente recomendable. Established in 1856 Wurlitzer set up a manufacturing plant in Cincinnati, Ohio, in 1861. Four years later he opened a retail shop and expanded the distribution business across the US. In 1880 Wurlitzer started to make pianos, and the company grew and became particularly well known for military and mechanical instruments. Franz Rudolph Wurlitzer died in 1914, but the company continued and managed to survive the age of the gramophone by introducing the first automatic jukebox, the Wurlitzer Simplex. Wurlitzer was also known for its pipe and theater organs. 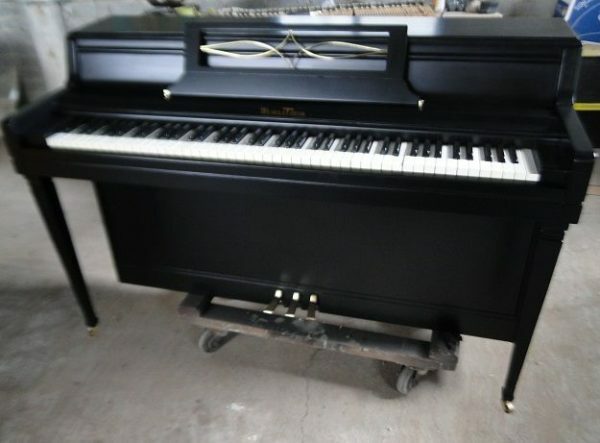 In 1935, Wurlitzer introduced the tradition-breaking spinette piano, proving that a piano only thirty-nine inches high could replace the bulky instruments traditionally produced. 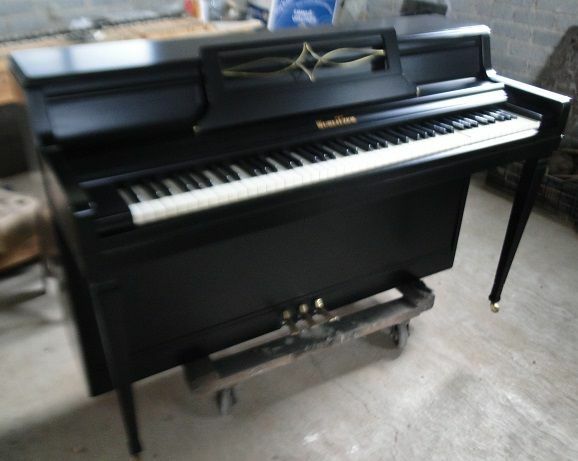 Upon the design of this piano is based all modern piano production. 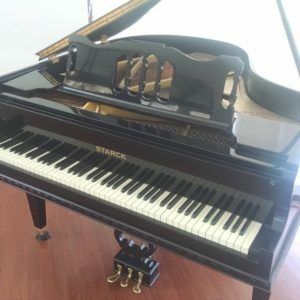 Through science, research, and ingenuity, Wurlitzer has developed such exclusive features as Tonecrafted Hammers, Pentagonal Sound Board, Augmented Sound Board, and many others to provide a greater volume of rich, resonant tone. A unique achievement in finishes is “Wurl-on,” highly resistant to heat, cold, dryness, and moisture as well as mars, scratches, and abrasions an attractive as well as durable and long-lasting finish. 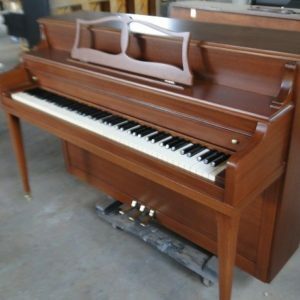 The complete line of Wurlitzer pianos offers a wide range of spinette, console, and studio-type designs, finished in a variety of fine woods, hand-rubbed to satin smoothness, and priced to suit any budget. 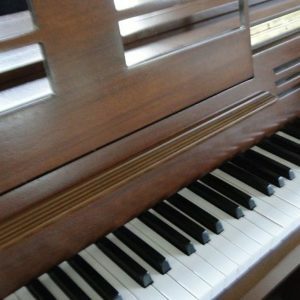 Noted for their perfection of performance and beauty of appearance, Wurlitzer pianos give enduring satisfaction and are a handsome addition to any setting. 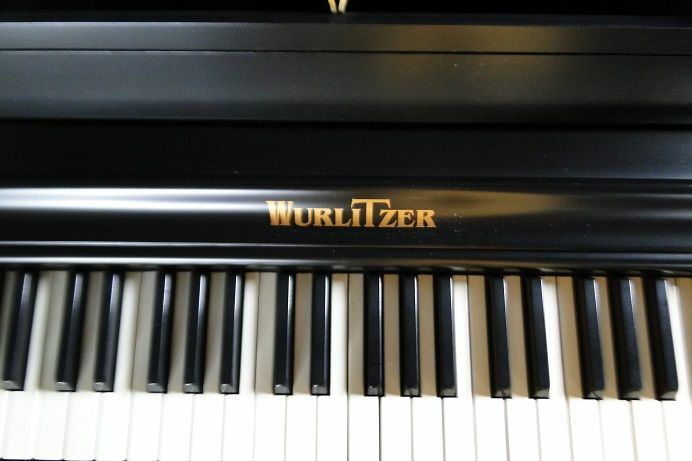 Introduced in 1955, the sensational new Wurlitzer electronic piano has no strings or sound board, provides natural piano tone through means entirely electronic, weighs only sixty-eight pounds, carries like a suitcase by means of its handy porta-cover, is unaffected by changes in temperature or climatic conditions, has built in volume control, may be played “silently” with earphones plugged in, and offers the additional important advantage of modest cost. A console model of the electronic piano, introduced in 1957, met with immediate popularity.